Since the beginning of this week on March 18th when higher temps in the 60-80’s broke some major weather records, it did not come without some additional concern conditions such as low relative humidity and wind. With the dead and dormant grasses and shrubs, it made it for some all too ripe conditions for the perfect firestorm. BLACK CREEK FIRE | 3/202/2019 | Lewis County | Dispatched @ 1507 hours. 1 acre. Turned over to landowner. Pacific Cascade Dispatch. BODINE FIRE | 3/20/2019 | Clark County | Bodine Road. Dispatched @ 1943 hours. 0.5 acres. IC Blodgett. In Patrol Status. Pacific Cascade Dispatch. BURROWS ROAD FIRE | 3/20/2019 | 21 Hogan Road in Hoquiam. Dispatched @ 1354 hours. Contained @ 1500 hours. Controlled @ 1700 hours. 0.2 acres of slash. IC Kinkade @ 1500 hours. In Patrol Status. Olympic Region Dispatch. Burn Bans | Cowlitz & Wahkiakum Counties in Effect. CAT SCRATCH FIRE | 3/19/2019 | Bond Road. 0.25 acres of brush, slash and logs. Dispatched @ 1951 hours. IC Mohler. Contained @ 2125 hours. Patrol Status. Pacific Cascade Dispatch. CATTLE FIRE | 3/19/2019 | Lewis County | Dispatched @ 1303 hours. 6.5 acres of grass, brush, slash, duff and litter. IC E463 @ 1036 hours on 3/20/2019. Patrol status. Pacific Cascade Dispatch. CEDAR PONDS FIRE | 3/20/2019 | Snohomish County | Off Cedar Ponds Road, SE of Monroe. Dispatched 1402 hours. 0.1 acres. Stump, logging and slash as fire fuels. IC Zavala @ 1650 hours. E466 tied to incident. Northwest Region DNR Dispatch Center. CHEHALIS FIRE | 3/20/2019 | Grays Harbor County | 209 Mox Chehalis Road in Malone. Dispatched @ 1408 hours. 12 acres of grass, brush and timber. IC Bradshaw. Resources on-scene. South Puget Sound Dispatch. CHEHALIS RIVER FIRE | 3/18/2019 | Porter (Grays Harbor) | Dispatched @ 1900 hours. 0.5 acres of grass and light brush. IC Noonan. Contained/controlled @ 0927 hours. Patrol status. South Puget Sound Dispatch. COAL CREEK FIRE | 3/20/2019 | Clark County | Carlon Loop. Dispatched @ 1419 hours. IC @ 1742 hours. In Patrol Status. Resources: WA DNR dispatched 5 engines along with Fire District mutual aid units. Pacific Cascade Dispatch. COLUMBIA FIRE | 3/18/2019 | Dispatched @ 1743 hours. 0.3 acres. IC Bortner @ 0658 on 3/19/2019. Patrol status. Pacific Cascade Dispatch. CONDIT FIRE | 3/18/2019 | Klickitat County | Hwy 141, mile post 5. Dispatched 1332 hours. Contained/controlled @ 1400 hours. Out @ 1420 hours. 0.1 acres. Grass, brush and duff fire fuels. IC Dobson. Central WA Interagency Communications Center. DAY ROAD FIRE | 3/21/2019 | Lewis County | Dispatched @ 1115 hours. Fire reportedly as out. Pacific Cascade Dispatch. DEVONSHIRE FIRE | 3/20/2019 | 74 Devonshire Road. Dispatched @ 1414 hours. Controlled @ 1713 hours. Contained @ 1954 hours. 4 acres of brush. IC Johnson @1417 hours. In Patrol Status. Olympic Region Dispatch. EAST DEEP RIVER FIRE | 3/20/2019 | East Deep River in Wahkiakum County. | Dispatched @ 1649 hours. 3 acres. IC Hynning. Patrol Status. Pacific Cascade Dispatch. ELOCHOMAN DIVIDE FIRE | 3/20/2019 | Wahkiakum County | Dispatched @ 1952 hours. 1.5 acres of grass, brush and timber. IC Servenka on 3/20/2019. DNR tied to incident. FARGER VIEW FIRE | 3/19/2019 | Clark County | Dispatched @ 0109 hours. 1.5 acres of grass and brush. IC Estes. Patrol status. Pacific Cascade Dispatch. FERN HILL FIRE | 3/20/2019 | Pacific County | South Fork Road. Dispatched @ 1254 hours. 0.2 acres of grass and brush. IC Stigall. Turned over to landowner. Pacific Cascade Dispatch. 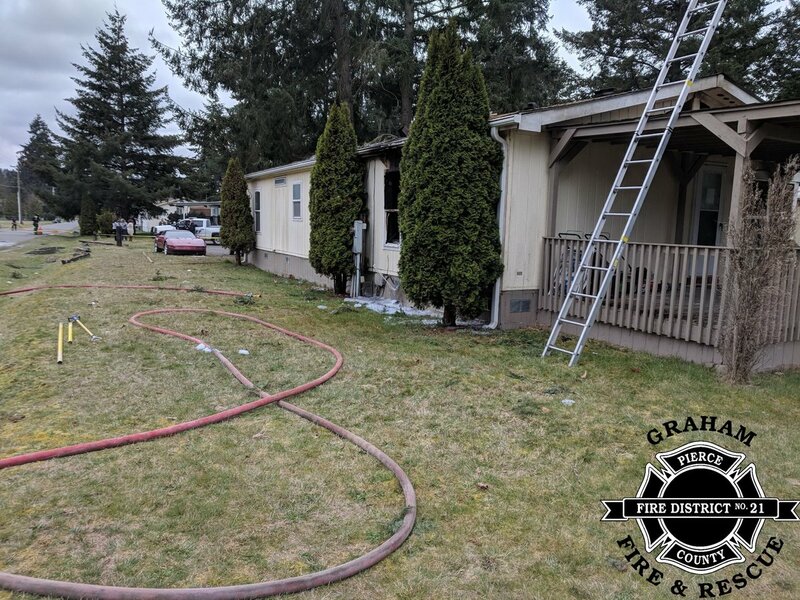 GABLE 3 FIRE | 3/19/2019 | Clark County | Dispatched @ 1550 hours. 0.1 acre of slash pile. IC Hubbard. Patrol status. Pacific Cascade Dispatch. GRANDVIEW FIRE | 3/19/2019 | Grandview. Dispatched @ 1154 hours. 6.48 acres of grass, brush and timber. IC Wesemann @ 1015 hours. Patrol Status. Pacific Cascade Dispatch. 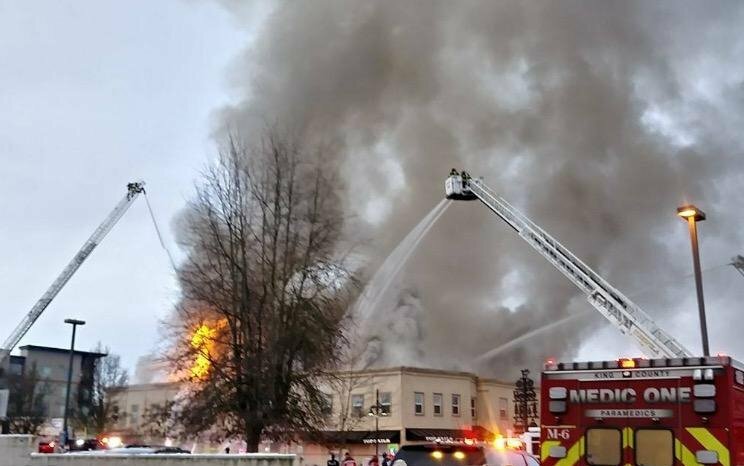 GRIP ROAD FIRE | 3/18/2019 | Skagit County | Union Square Road in Sedro Woolley. Dispatched 1302 hours. Legal rule burn, no escape. False alarm. IC McMillen, GL 41 @ 1331 hours. Northwest Region DNR Dispatch Center. HARVEST MOON FIRE | 3/21/2019 | Lewis County | Onalaska. Dispatched @ 1655 hours. False Alarm. Pacific Cascade Dispatch. HICKORY FIRE | 3/19/2019 | Thurston County in Yelm. Dispatched @ 1735 hours. 0.25 acres of Grass and brush. Contained & controlled @ 1900 hours. Patrol status. South Puget Sound Dispatch. 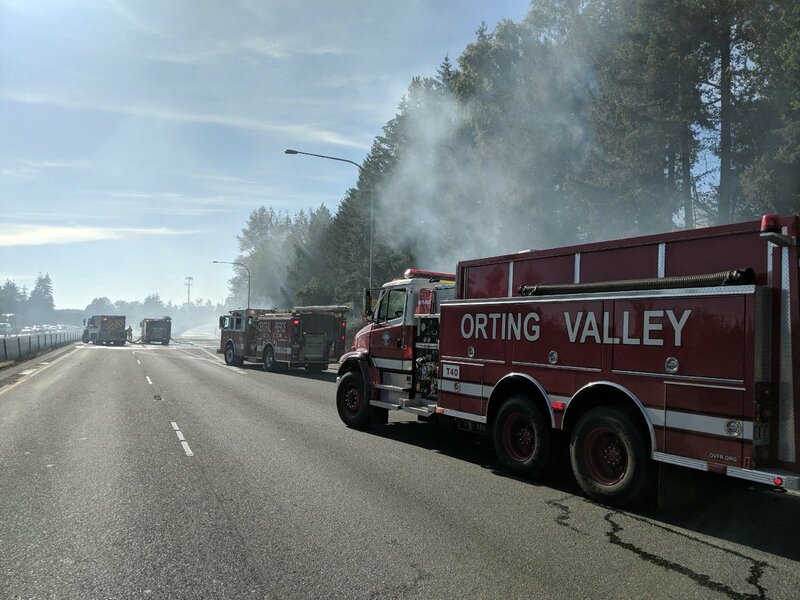 HORNE FIRE | 3/20/2019 | Clark County | Dispatched @ 1425 hours. 2 acres. In patrol status. Pacific Cascade Dispatch. HORSLEY ROAD FIRE | 3/18/2019 | Horsley Place. 23 acres of grass. IC Hynning @ 0710 on 3/19/2019. WA DNR on-scene. Pacific Cascade Dispatch. JACKSON ROAD FIRE | 3/20/2019 | Pierce County | Mckenna. Dispatched @ 1323 hours. 45 acres of timber, reproduction slash. IC Burns. Resources on-scene. Puget Sound South Dispatch. MYSTIC FIRE | 3/20/2019 | Clark County | Mystic Road. Dispatched @ 1226 hours. 0.25 acres of grass, slash and timber light. IC Mattilla. Turned over to landowner. Pacific Cascade Dispatch. 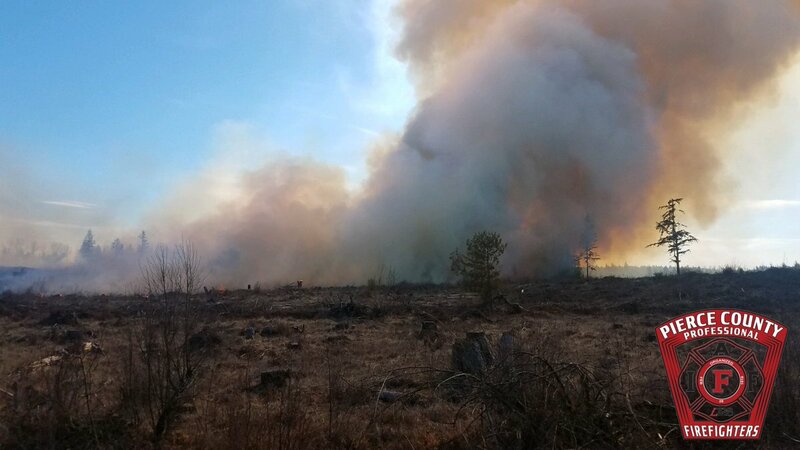 NELSON FIRE | 3/21/2019 | Rochester in Lewis County | 1.5 acres of grass and brush. Dispatched @ 1509 hours. IC Werner @ 1800 hours. In Patrol Status. Pacific Cascade Dispatch. NORTH MAPLE FIRE | 3/20/2019 | Clark County | SE of Kelso in RoseValley. Dispatched @ 1700 hours. 40 acres. IC Hynning. Approximately 90 homes threatened. State Mobilization authorized. Puget Sound Task Force assigned to incident. Evacuations in effect for those off of Walker Road. 35% contained. Resources: SE WA Type 3 IMT. Fall City Brush 166, Cowlitz Fire & Rescue, Larch Mountain inmate crew. Over 50 firefighters are working on this wildfire. No homes have been lost. Evacuation orders have been reduced from a Level 3. Significant Events: N Maple Hill Road served its purpose well in acting as the perfect fire breaker. County Commissioners have declared an emergency. Cause: Escaped burn pile. OLD BARN ROAD FIRE | 3/20/2019 | Lewis County on Old Barn Road | Dispatched @ 1620 hours . 18 acres. IC Warthen @ 1822 hours. DNR on-scene. Pacific Cascade Dispatch. OXBOW ROAD FIRE | 3/20/2019 | Pacific County | Oxbow Road. Dispatched @ 1454 hours. 10 acres. IC Shweso @ 1530 hours. Patrol Status. Pacific Cascade Dispatch. PICKERING ROAD FIRE | 3/19/2019 | Mason County | Shelton. Dispatched @ 1616 hours. 0.25 acres of light slash and brush. IC Sullivan. Contained & controlled @ 1830 hours. Patrol status. South Puget Sound Dispatch. 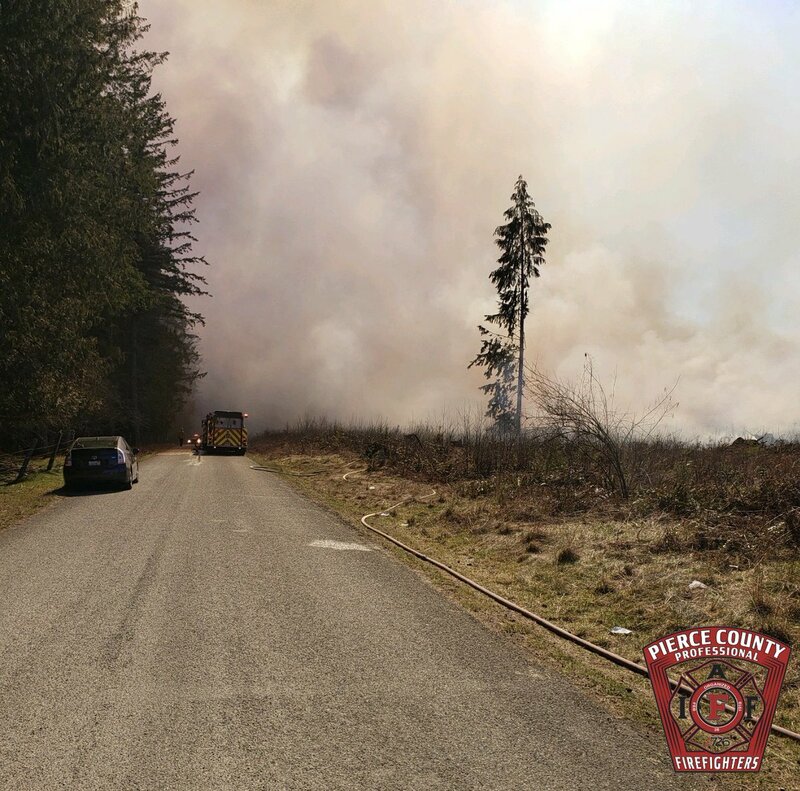 PRIEST ROAD FIRE | 3/20/2019 | Lewis County | Dispatched @ 1916 hours. 0.1 acre of grass, brush and logs. Turned over to landowner. Pacific Cascade Dispatch. RAGLAND ROAD FIRE | 3/20/2019 | Clark County | Ragland Road. Dispatched @ 1503 hours. 3 acres of grass and brush. IC Adam. Contained and controlled @ 2139 hours. Turned over to landowner. Pacific Cascade Dispatch. RANDLE BRIDGE | 3/21/2019 | Lewis County | Dispatched @ 0909 hours. Contained/controlled @ 1200 hours. 1 acre of grass, brush and hardwood. IC Latham. Pacific Cascade Dispatch. 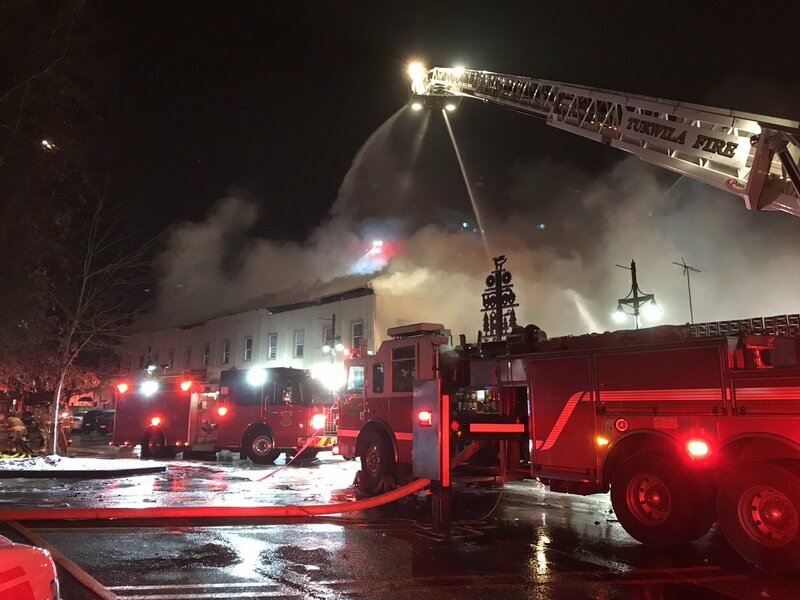 SCHOOL HOUSE FIRE | 3/18/2019 | Dispatched @ 1355 hours. 0.1 acre. IC Hynning. Turned over to landowner. Pacific Cascade Dispatch. SOMERS ROAD FIRE | 3/18/2019 | Shelton. Dispatched @ 1638 hours. 0.4 acres of grass and brush. IC Bradshaw. Contained @ 1930 hours. Controlled @ 1200 hours. Patrol status. South Puget Sound Dispatch. 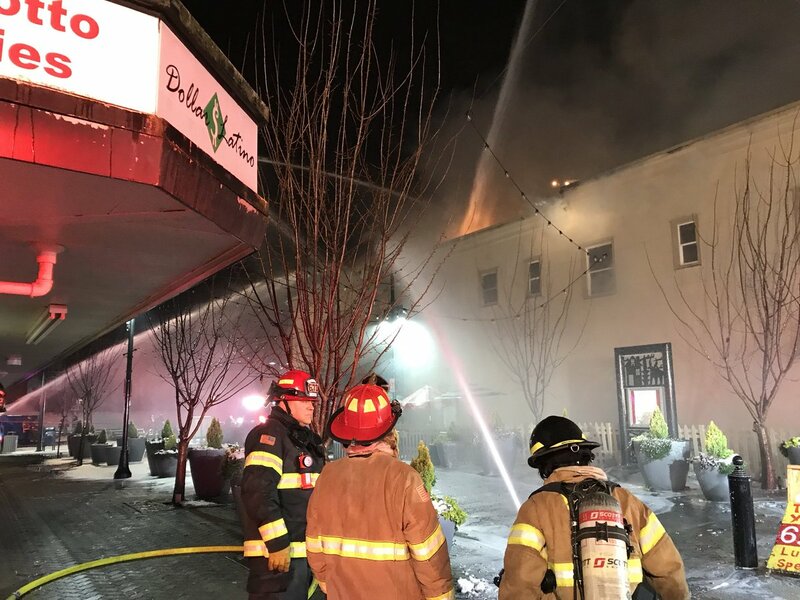 SOUTH BANK FIRE | 3/19/2019 | Grays Harbor County | Oakville. Dispatched @ 1450 hours. 0.5 acres of grass and brush. IC Noonan. Contained & controlled @ 1615 hours. Patrol status. South Puget Sound Dispatch. SOUTH PRAIRIE ROAD FIRE | 3/20/20109 | 25100 block of South Prairie Road in Pierce County | Dispatched @ 1244 hours. 1.5 acres of brush and grass. (200×200 brush fire) | IC Traweek. Contained @ 1500 hours. Controlled @ 1615 hours. Patrol Status. Resources included: 3 brush engines and 4 engines from East Pierce Fire. Puget Sound Dispatch. STANDARD ROAD FIRE | 3/18/2019 | Whatcom County | Standard Road in Acme. Dispatched @ 1604 hours. 15 acres. No further info. Northwest Region DNR Dispatch Center. SUNSET FALLS FIRE | 3/20/2019 | Clark County | County 17 Road. Dispatched @ 0640 hours. 5 acres. IC Lingquist. @ 0815 hours. Patrol Status. Pacific Cascade Dispatch. SWOFFORD FIRE | 3/19/2019 | 200 block of Swofford Road near Mossyrock in Lewis County | Dispatched @ 1302 hours. 103 acres of grass, brush, slash. IC Smith on 3/20/2019 @ 1630 hours. Contained at 1200 hours on 3/20/2019. Patrol Status. Pacific Cascade Dispatch. TOWER FIRE | 3/20/2019 | Clark County | Dispatched @ 1512 hours. 2 acres of grass, brush and timber. IC Fowler. Patrol Status. Pacific Cascade Dispatch. VALLEY GREEN FIRE | 3/20/2019 | Thurston County in Olympia. Dispatched @ 1608 hours. 4 acres of leaf litter. IC Carlsen. Contained @ 1100 hours on 3/21/2019. Controlled on 3/21/2019 @ 1515 hours. In patrol Status. South Puget Sound Dispatch. VENNERSBURG FIRE | 3/19/2019 | Clark County | Dispatched @ 1851 hours. 29 acres of grass and brush. Patrol status. Pacific Cascade Dispatch. WEST WASHOUGAL FIRE | 3/18/2019 | Clark County | 22nd Street. Dispatched @ 1415 hours. 0.25 acres of grass and brush. IC North. Fire out. Pacific Cascade Dispatch. WILDWOOD LANE FIRE | 3/20/2019 | Wahkiakum. Dispatched @ 1705 hours. 85 acres. IC Tester on 3/21 @ 0930 hours. Resources: Bortner E273, Hancock, Hoskins Olson and Tester. DNR on-scene. Pacific Cascade Dispatch. Resources: Western WA Type 3 IMT assumed command along with additional fires. WILLIE KEILS FIRE | 3/18/2019 | Lewis County | Dispatched @ 0858 hours. 4 acres of grass and brush. Fire out. Pacific Cascade Dispatch. We are also gearing up for some fire chasing opportunities. As the temps increase and fires begin to ignite, we will most likely find ourselves looking for those that may pop so that we can report and share with you all. Besides, we like catching our friends in action. You can also find us on Twitter @nwfireblog and on Instagram. A slow-moving wildfire is burning at the end of the road on 200th Avenue on the Key Peninsula in Pierce County, Washington State. The fire sparked by an unknown cause and is said to be burning near the 2100 block of South Heron Island Boulevard. Limited resources began pouring into the area around 1430 hours this afternoon. Firefighters were given aid by KOMO TV 4’s chopper above in helping with access once off of the unmaintained and gravel road to the fire line. DNR has one helicopter providing fire suppression from air, with additional fire assets from various other departments on the way. Skies across the northern part of the Key Peninsula including Key Center is filled with a smokey and the KPN FD believes it is coming out of the Southern portion of Canada. Additionally, smoke can be seen East of the Olympics. Other reports from nearby county, Kitsap is also receiving information smoke is flowing into their area. If you see fire apparatus, please avoid the area. Additionally, please keep your drones out of the fire zone or air craft will have no choice but to be grounded until the airspace is cleared. Those with smoke sensitivities should stay inside with closed windows and vents. Try to keep fans circulating. If this does not work, leave the area and wait for the smoke in the air to dissipate. Residents can learn about Pierce County’s response efforts and how they can prepare for winter weather at the WinterWise Kickoff Event from 10 a.m. to 2 p.m. Oct. 25 at McLendon Hardware at 11307 Canyon Road E. in Puyallup. County staff from Public Works and Utilities and the Department of Emergency Management will provide information about county services during winter weather, as well as tips on how to make a family plan for emergencies and build an emergency kit. Children will be able to paint a snow plow that will be used on local roads during snow and ice events. Adults can pick up a list of recommended emergency kit items, and McLendon’s will offer a discount for shoppers that stop by the WinterWise and other vendor booths. The WinterWise Kickoff Event is part of Public Works and Utilities’ WinterWise outreach program to educate the community about the services the department provides during winter. Those services include response to urban and river flooding, windstorms, and snow and ice events, as well as information on storm cleanup and sustainable winter celebrations. Public Works and Utilities partnered with the Department of Emergency Management this year to help promote emergency preparedness. For more information on Pierce County’s winter services, visitwww.piercecountywa.org/winterwise. OLYMPIA — The Washington State Department of Health has taken disciplinary actions or withdrawn charges against health care providers in our state. The department’s Health Systems Quality Assurance Division works with boards, commissions, and advisory committees to set licensing standards for more than 80 health care professions (e.g., medical doctors, nurses, counselors). Information about health care providers is on the agency website. Click on “Look up a healthcare provider license” in the “How Do I?” section of the Department of Health website (doh.wa.gov). The site includes information about a health care provider’s license status, the expiration and renewal date of their credential, disciplinary actions and copies of legal documents issued after July 1998. This information is also available by calling 360-236-4700. Consumers who think a health care provider acted unprofessionally are encouraged to call and report their complaint. In November 2013 the Chiropractic Commission ended conditions on the credential of chiropractorJason C. Schroeder (CH00003389). In December 2013 the Emergency Medical Services and Trauma Systems Program charged paramedic Paul Rynearson (ES00106508) with unprofessional conduct. Rynearson allegedly took and used narcotics kept at the fire department where he worked and reportedly came to work appearing to be under the influence of drugs or alcohol. In December 2013 the Nursing Assistant Program agreed to reinstate the registered nursing assistant credential of Mayra I. Garcia (NA00195349) and placed her credential on probation for at least one year. Garcia’s credential was suspended in 2011 after she didn’t comply with a stipulation issued after being convicted in 2007 of third-degree theft and driving while intoxicated. In December 2013 the Chemical Dependency Professional Program ended conditions on the credential of chemical dependency professional Estela Yarrito (CP00003751). In December 2013 the Nursing Assistant Program conditionally granted a registered nursing assistant credential to Cassandra Denise Pendergrass (NA60414482) and placed her license on probation for at least two years. In 2004 Pendergrass was convicted in Nevada of embezzling $2,500 or more. In December 2013 the Chemical Dependency Professional Program conditionally granted a chemical dependency professional trainee credential to Shakun Nandeshwar Sharma (CO60294692) and placed her credential on probation. Sharma must take continuing education in professional law and ethics and undergo an evaluation for a substance abuse monitoring program. She was convicted of five gross misdemeanors and two misdemeanors between 2006 and 2012. In November 2013 the Pharmacy Commission ended probation for pharmacist Michael S. Jones(PH00010993). In December 2013 the Pharmacy Commission fined Pharmaca Integrative Pharmacy Inc.(CF60030054) $2,500 after it was found to have allowed a pharmacy assistant, who misrepresented herself as a pharmacy technician to its human resource department, to perform tasks limited to pharmacy technicians. In December 2013 the Medical Assistant Program ended conditions on the credential of medical assistant Bridgett Dianne Miller (MR60402878). In December 2013 the Dental Commission denied a dental assistant credential to Randy Allen Ivie(D160332886), who had several convictions including 12 felonies, two gross misdemeanors, and one misdemeanor between 1985 and 2012. In December 2013 the Chemical Dependency Professional Program ended probation for chemical dependency professional trainee Darla Jean Oliphint (CO60234960). In December 2013 the Chemical Dependency Professional Program ended probation for chemical dependency professional trainee Tena K. Bremmeyer (CO60153438). In December 2013 the Counselor Program charged chemical dependency professional, marriage and family therapist associate, and marriage and family therapist Jennifer Armstrong Ferguson(CP00005222, MG60171687, LF60079410) with unprofessional conduct. Ferguson allegedly provided substandard care. In December 2013 the Nursing Commission charged registered nurse Karen Ann Price(RN60181825) with unprofessional conduct. In 2013 Price was convicted of driving while intoxicated. In December 2013 the Counselor Program lifted the suspension for registered counselor credential holder Susan A. Martin (RC00059495). The credential itself was abolished in 2010. In December 2013 the Chemical Dependency Professional Program conditionally granted a chemical dependency professional trainee credential to Patricia Noel Shropshire (CO60418513) and placed her credential on probation. Shropshire must take continuing education in professional law and ethics, and undergo evaluation for a substance abuse monitoring program. In 2012 she was convicted of driving while intoxicated and received deferred prosecution on another charge. In November 2013 the Pharmacy Commission ended probation for pharmacy technician Jill M. Horstman (VA00048105). In December 2013 the Pharmacy Commission charged pharmacy assistant Casey V. McGaughy(VB00071773) with unprofessional conduct. While working at a pharmacy, McGaughy allegedly diverted medications for his personal use. In December 2013 the Nursing Commission charged registered nurse Lori Jean Tenny(RN00121398) with being unable to practice with reasonable skill and safety. On an application to reactivate her expired credential, Tenny allegedly said she has a medical condition that impairs her ability to practice, a conclusion her primary care provider supported. In December 2013 the Counselor Program conditionally granted an agency affiliated counselor credential to Shane Lynn Morris (CG60293762) and placed her credential on probation. Morris must undergo evaluation for a substance abuse monitoring program, and is required to take continuing education in professional law and ethics. She was convicted of 40 felonies and one gross misdemeanor between 2005 and 2009. In December 2013 the Nursing Commission denied the request of Bob L. Ratcliff (RN00159108) to reinstate his registered nursing credential, which was suspended in 2005 and again in 2011, when he didn’t comply with a substance abuse monitoring program. The commission found that he was still out of compliance. In November 2013 the Pharmacy Commission modified an agreement with pharmacist David Alexander Glen (PH60216257), lifting probation from his license but still requiring that he comply with a substance abuse monitoring contract. In December 2013 the Nursing Assistant Program charged registered nursing assistant Marianne Zweegman (NA00130895) with unprofessional conduct. The Department of Social and Health Services prohibited her from being employed in caring for or having unsupervised access to vulnerable adults. Zweegman was found to have neglected vulnerable adults in her adult family home. In December 2013 the Counselor Program ended conditions on the credential of mental health counselor Lori Woodward Bobo (LH60168278). Idaho: In December 2013 the Nursing Commission charged licensed practical nurse Natalie A. Fister(LP00053334) with unprofessional conduct. Fister notified the commission that in 2013 she was convicted in Idaho of driving under the influence of alcohol (third or more offense). Idaho: In December 2013 the Dental Commission ended conditions on the credential of dental assistant Breanna Fern Bailiff (D160249600). Oregon: In December 2013 the Hearing and Speech Board charged speech language pathologistJocelyn Louise Meussdorffer (LL60262909) with unprofessional conduct. She allegedly didn’t comply with terms of a previous agreement. Note to Editors: Health care providers charged with unprofessional conduct have 20 days to respond to the Department of Health in writing. The case then enters the settlement process. If no disciplinary agreement can be reached, the case will go to a hearing. The Department of Health website (doh.wa.gov) is your source for a healthy dose of information. Also,find us on Facebook and follow us on Twitter.